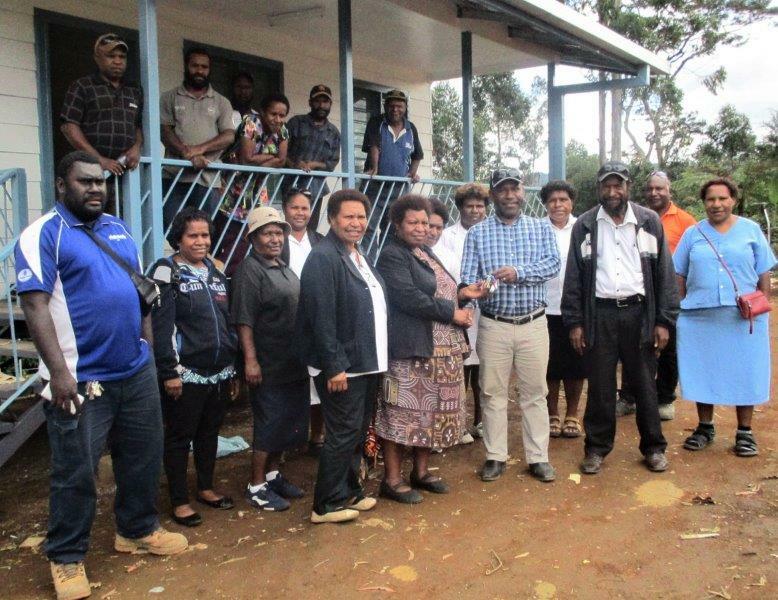 Mt Hagen Hospital nurses have received a well-deserved New Year present – a brand new three-bedroom house built on the hospital premises. The Western Highlands Provincial Health Authority (WHPHA) has given the house to the nurses in appreciation of their tireless efforts in caring for their patients every day. The house which was built by a local contractor, Stewart Construction, and donated to the WHPHA in appreciation of the numerous building contracts it receives from the organisation was a welcome present for the nurses who have been longing for accommodation for years. The house has been built in the same area as another 12 houses. These houses have been funded jointly by the Nurses Association and the Western Highlands Provincial Health Authority at a cost of more than K3 million. The keys to the donated house which cost about K250,000 to build but without white goods was received by the nursing management on behalf of the WHPHA Management during a brief ceremony on site on 16th January 2019. Acting Director of Nursing, Sr. Janet Yamu and her deputy for nursing administration, Michael Kaweya were full of praise for the contractor and the WHPHA Management for the kind donation. They said it was history in the making for a building contractor to give away such an expensive item like this and thanked the owner, Paul Berry for helping to meet the housing needs of nurses. Sr. Yamu said only about 3 percent of the 200 nurses lived in hospital accommodation and such a donation would greatly help to accommodate shift nurses while on night shift. “Nursing is a calling and we leave everything behind and come to work to serve our people. We need houses like this to accommodation our shift workers, most of whom are young nurses with new families”, she said. Sr. Yamu said people don’t usually give away something like a new house for free and for the WHPHA to receive it and then give it to the nurses was highly commendable as it would really serve its purpose of keeping the family unit alive with less problems during shift work. Acting director of nursing with WHPHA, Sr. Janet Yamu receiving the keys to the new house from Stewart Construction owner, Paul Berry, witnessed by other nurses and support staff.